Early temps in the 70s will reach highs around 87 degrees Tuesday in South Florida. Some patchy fog and smoke is possible inland along Alligator Alley in the morning, with reduced visibility along this route. The rest of South Florida will start with partial sun. 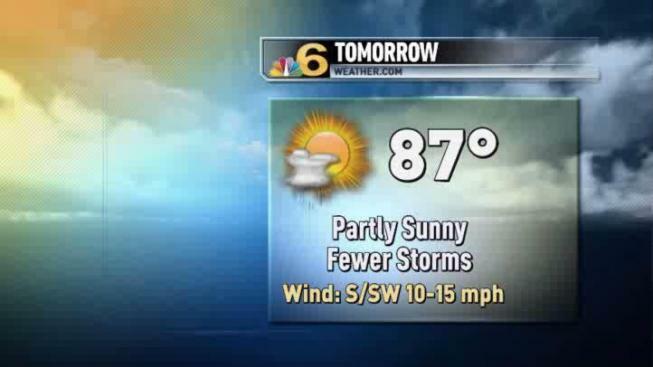 Skies will occasionally cloud over and scattered thunderstorms are expected Tuesday afternoon and evening. Though the chance of an isolated t-storm remains in Wednesday’s forecast, tomorrow will feature drier and brighter weather.